Lately, I have been spending a little bit more time in the kitchen than usual. I am not one of those girls that spends hours discovering new recipes and creating masterpieces, so even the easiest cooking project is a huge achievement for me. When I saw this easy recipe of 5 ingredient dark chocolate coconut macaroons on Minimalistbaker's blog I knew that even me would be able to do it. I had all products in my kitchen cupboard so I just needed to go ahead and do it. I will drop a link to original recipe so I don't have to get in to too much details. 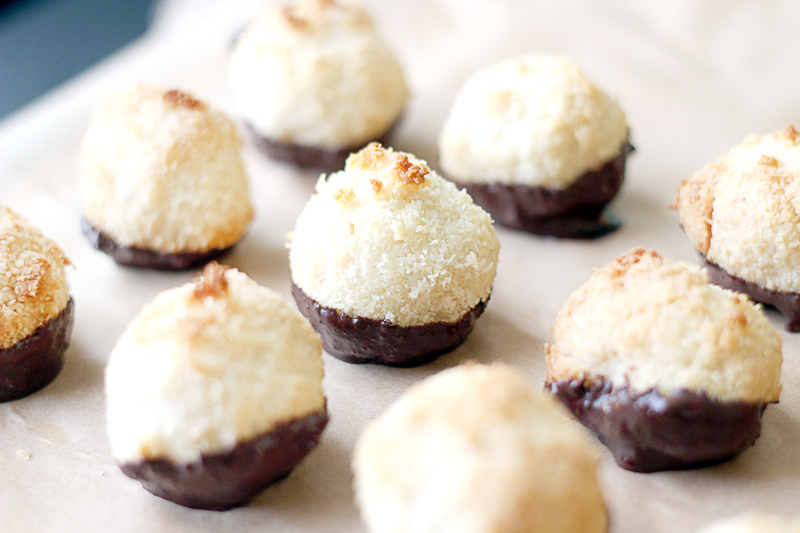 These dark chocolate coconut macaroons are very delicious! Just make sure you follow all instructions, as I've tried to change few bits and it didnt worked so well at first. You can find detailed recipe here. 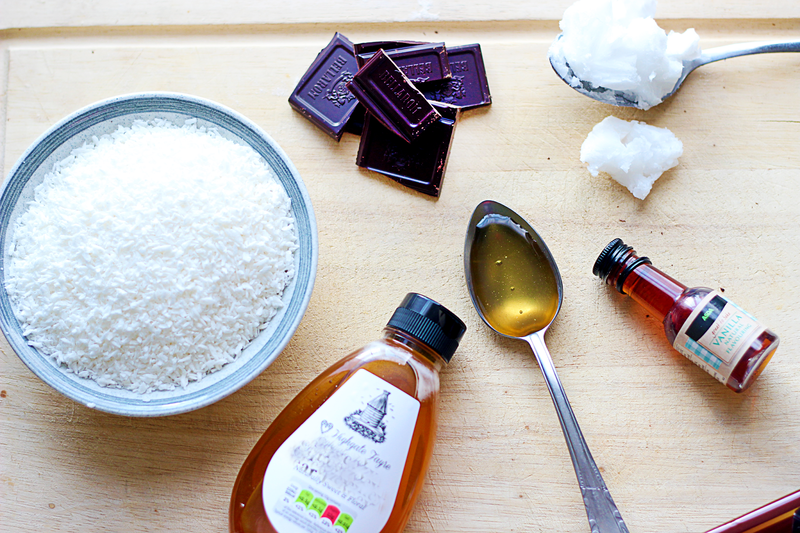 Blend shredded coconut and maple syrup in food processor. I didn't have the scoop as per original recipe, so I just made balls. Placed it all on baking sheet and popped them in to the oven. 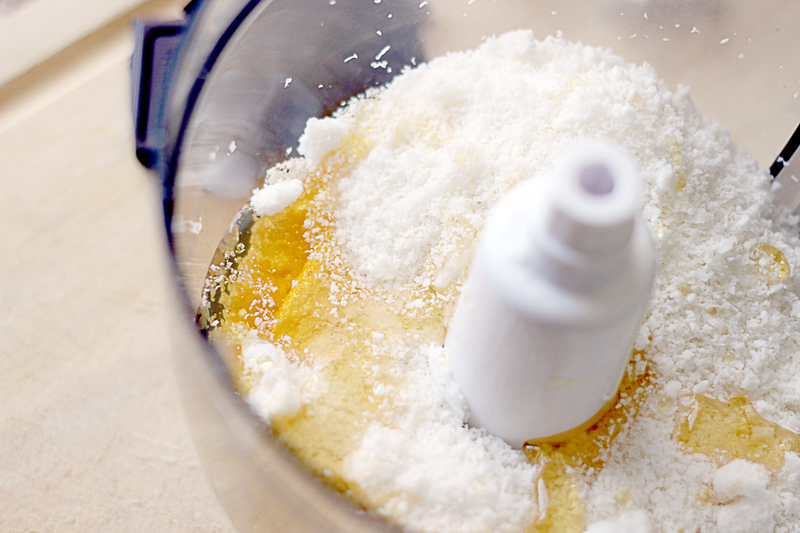 Make sure you don't leave it in any longer than 10 mins, macaroons will loose all of the tenderness inside. 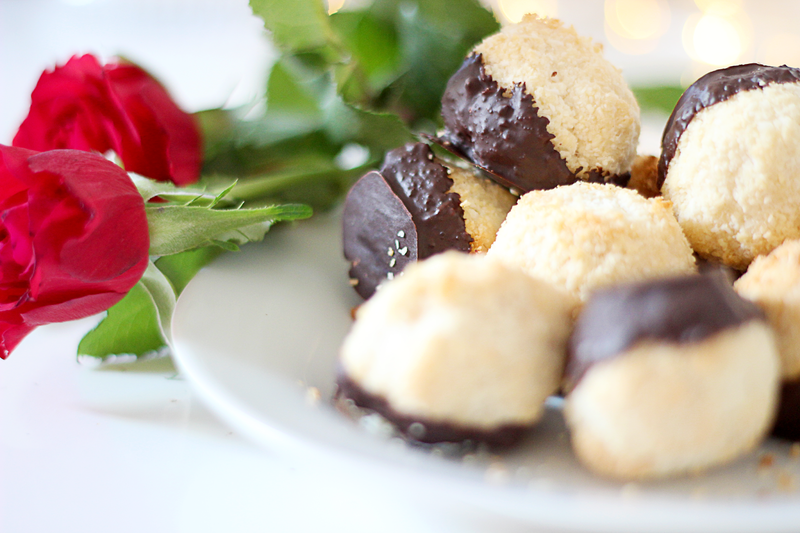 While macaroons cooling down, melt the chocolate and carefully dip them in. Leave it to cool down. Enjoy it alone or share with your loved ones, because sharing is caring! 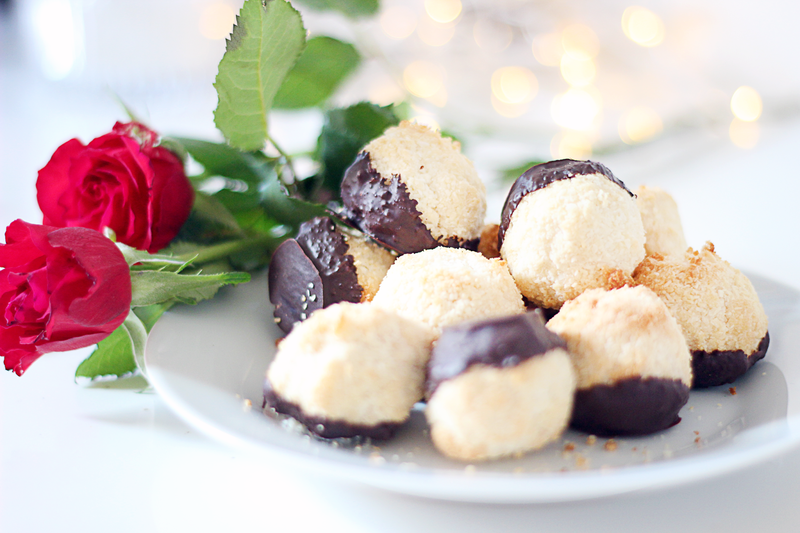 These macaroons are super easy and quick to make and it tastes divine! If you are coconut lover like me, you will enjoy it very much, I promise.